Genuine leather folding gent�s wallet. 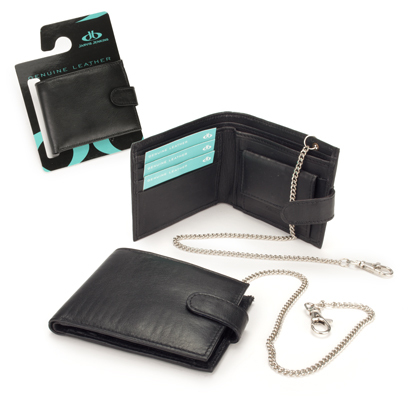 Complete with a stylish diamond cut chain to attach to a belt loop for added security. Features; two note sections, three credit card pockets, a stud fastening coin compartment for keeping change and two receipt pockets. Supplied on a card Euro hanger.